INDIA'S lead is charging towards 300 as they look to build a monster, match-winning target on day four of the first Test in Adelaide. 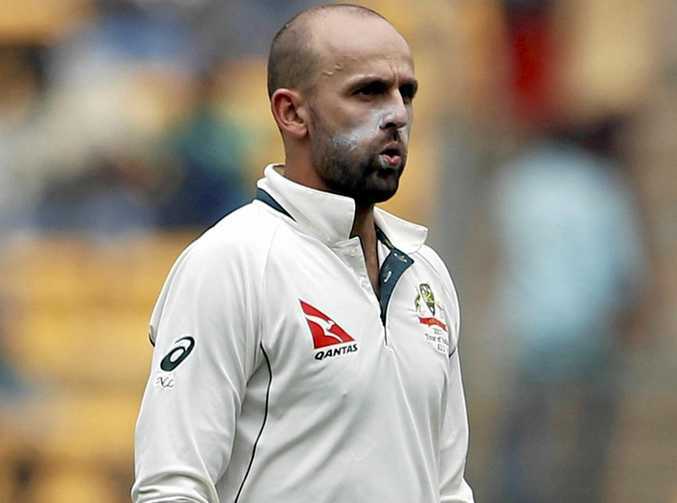 Nathan Lyon gave Australia a sniff of hope with a double breakthrough before lunch when he finally ended first innings centurion Cheteshwar Pujara's epic knock on 76. Lyon then removed Rohit Sharma for 1, leaving Ajinkya Rahane remains unbeaten on 57 and Rishabh Pant on 10 with India 5-260 at lunch. Lyon looms as the key man for Australia after jagging the key breakthrough of Virat Kohli (34) late on Saturday. Meanwhile, Travis Head has backed Australia to shut down India with the new ball and chase any total they can muster. "If we continue to bowl the way we did the reward will come," Head said.